Dr. Denise McSherry is a Board Certified OB/GYN. Her primary interests include preparing OB/GYN residents and attending physicians to successfully attain board certification. Dr. McSherry has over seven years of experience and has lectured to over 5,000 residents on how to successfully pass the written exam. 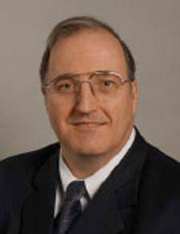 Dr. Richard W. Farnam obtained his Doctor of Medicine from University of Texas Health Sciences Center in San Antonio. He completed his residency training in 2005 at Case Western Reserve University: The Cleveland Clinic Foundation and Metrohealth Medical Center. After residency, Dr. Farnam was accepted into an AAGL/SRS fellowship. He completed a one year fellowship in Minimally Invasive Gynecology and Pelvic Reconstructive Surgery in New York. Since 2006, Dr. Farnam has managed a busy Urogynecology and MIS private practice, and is clinical faculty at Paul L. Foster Medical School in El Paso, Texas. Dr. Farnam has been faculty with OBGYN board prep since 2008. Dr. James Kerns is considered the United States' foremost authority on the OB/Gyn Oral Board Examination process. 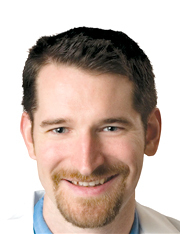 Dr. Kerns has been examined by more ABOG oral examiners than anyone in the country. He has successfully completed his ABOG examinations and has a wealth of information to pass on to his students. James Kerns is a brilliant instructor. 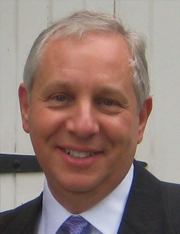 Dr. Glenn Bernstein is a board certified OB/GYN and inventor of Mom's Nest. He received his medical degree from the Autonomous University of Guadalajara, graduating with high honors and a second degree from the State University of New York. He took his residency at New York Methodist Hospital and St. Vincent's Medical Center. He practiced in New Jersey for 30 years, and has now relocated to Tennessee. He is involved in teaching medical students and physician's assisstants. He uses his wealth of knowledge and experience to successfully guide our candidates through the board process. 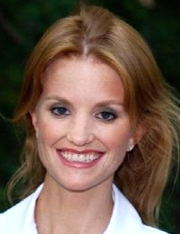 Dr. Brooke Davidson practices General OB/GYN in Connecticut. She did her OB/GYN Residency Training at the New York Medical College Program at Westchester Medical Center. The broad scope of her general practice and her zest for teaching makes her an invaluable asset to our team. She passed both her written and oral boards with the help of Dr. Wall’s OB/GYN Board Prep. They have a system that works and she’s glad to be a part of the faculty since 2010. Dr. Davidson’s forte is Case List preparation and she heads up our "Case List Intervention" option. She will be facilitating our Sunday Case List Webinars and she also does individualized case list help from a simple review to guiding you through the whole process. You can set up sessions with Dr. Davidson through Debbie or Laurie. Laurel A Walton, DO is a board certified obstetrician/gynecologist. Her interests are in high risk obstetrics and gynecologic care of the adolescent and perimenopausal patient. Her career started as a Junior High science teacher followed by completing her certification as a physician assistant. She has been practicing Obstetrics/Gynecology in Central Illinois since 1991, after completing her Obstetrics/Gynecology Residency in El Paso, Texas. Her love of teaching motivates her to teach residents and nurse practitioners and to assist fellow physicians studying for their board exams. 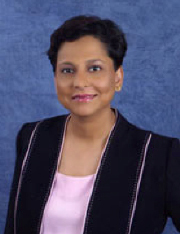 Navita Modi, MD is a Fellow of the American College of Obstetrics and Gynecology (FACOG). Dr. Modi has been in practice for nearly ten years. Dr. Modi is Board certified (Diplomat of American Board of OBGYN) and has taken certified trainings to perform minimally invasive surgeries utilizing the most current technology in the surgical arena - Da-Vinci. Dr. Modi’s interests include teaching, research in women’s health care, minimally invasive surgeries and a strong commitment to patient education. Dr. Modi has published various research papers during her residency. Dr. Modi has also received recognition awards for her outstanding performances. Dr. Modi is dedicated to providing compassionate care to women of all ages. When not in the office or at the hospital, Dr. Modi enjoys spending time with friends and family, reading, cooking, traveling and dancing. 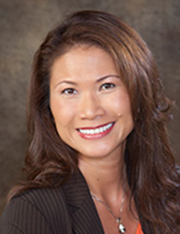 Dr. Do has been coaching successful oral board candidates since 2011. She trained at The Brooklyn Hospital Center- an affiliate of Weill-Cornell Medical College and now practices general obstetrics and gynecology full-time in Northern California. She holds a Volunteer Clincal Faculty position as Assistant Clinical Professor for UCSF Medical School OBGYN Department. Dr. Do is board-certified by the American Board of Obstetrics and Gynecology and is a fellow of the American Congress of Obstetricians & Gynecologists. She has a special interest in high-risk obstetrics, infertility and laparoscopic as well as vaginal surgeries. 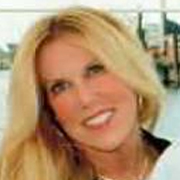 Debbie Mattern began working for Dr. Wall in 2012 and has recently begun administrative assistant duties. She is dedicated to assisting OB/Gyn physicians in their quest toward certification. Laurie Vagts joined the OBGYN Board Prep team working for Dr. Wall in administrative assistant duties in March of 2018. She is also dedicated to assisting OB/Gyn physicians in their quest toward certification. Please contact Debbie or Laurie should you have questions, wish to register for Dr. Wall's courses, or to order study materials. They will be happy to serve you.